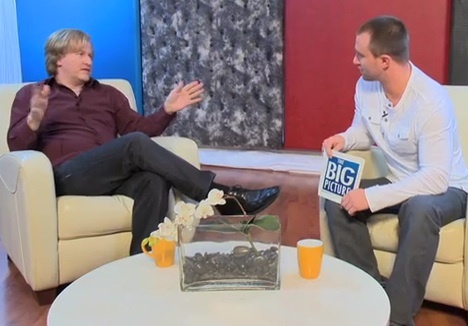 This past April, I had the thrill and pleasure of being featured on a full 30 minute episode of Sean Kravetsky’s series “The Big Picture”. I arrived at the studio early in the morning and enjoyed watching the space get transformed into the set for The Big Picture. The actual shooting went very quickly and we did the two in-studio portions of the episode in one take. Then the following week Sean and his Director/Cameraman Gabriel Forezli came to my home studio and taped some footage of Sean lying Under the Piano as I improvised. A month previously, Sean had been for a complete session and we chose a track from his original session as the perfect accompaniment to best recreate what a real session is like. Sean has generously given me permission to use the video on my website and social media sites. Thank you Sean, it’s been a delight and pleasure working with you and I am grateful for the opportunity you have given me to share this unique musical and healing practice with people in the world. The Big Picture EP7. – I believe in Music Pt.1 from Gabriel Forezli on Vimeo.